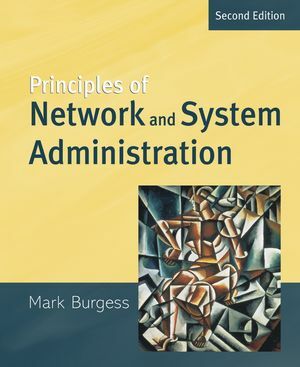 Burgess approaches both network and system administration from the perspective of principles and ideas which do not change on a day-to-day basis. A great deal of attention is paid to the heuristics of system and network administration; technical and sociological issues are taken into account equally and are presented thoughtfully with an eye to teaching not what to do as a system or network administrator, but how to think about problems that arise in practice. As a result, the author keeps the reader looking forward to what comes next and how to implement what he or she has learned. The focus is on strategic issues, how to keep systems maintainable and how to manage configuration files across an enterprise. During the 80s and most of the 90s the frontiers of system administration were about understanding what the job entailed and building tools in order to manage networks more efficiently. The next phase is about standardization of management and practice, making system administration more formal and less ad hoc, and Burgess' book is one of the first to begin to push into this area. MARK BURGESS is associate professor at Oslo University College, Norway, and a member of SAGE, USENIX and the IEEE. He is an internationally respected scientist both in Computer Science and the Theoretical Physics and has won various prizes for his work on Computer Immunology and GNU cfengine. He was recently awarded The SAGE 2003 Professional Contribution Award, "For groundbreaking work in systems administration theory and individual contributions to the field". 6. Models of Network and System Administration. 8. Diagnostics, Fault and Change Management. A. Some Useful Unix Commands.